In the City That Never Sleeps, you won t sleep either. There are thousands of things to do, see and try here… We worked out a list with some of the major attractions in New York you should not miss. 5th Avenue – One of the most expensive streets in the world is waiting for you. Boutiques, brand stores for jewelry, clothes, bags and shoes, luxurious trade centers, expensive apartments and sophisticated restaurants. Take a walk around and enjoy the glamour. Here you will also find the New York Public Library, Rockefeller Center and St. Patrick s Cathedral. 5th Avenue passes through central Manhattan and it is the dividing line for the west and east side of the borough. Central Park – This is the real oasis in the city inhabited by millions. The park will charm you year-round. It was designed by Frederick Law Olmsted and Calvert Vaux in 1858-1873. It stretches over 843 acres. Sculptures, monuments, playgrounds, pretty flower paths, water lily lakes, bridges, fountains, vast picnic areas, huge zoo, while in the evening you may enjoy live music performances. It is a real pleasure to ride a bike down the alleys and if you don t have your own, you can rent one at the park. For a romantic ride, you can hire a coach. Up-to-date information about interesting events at the park is available here. Central Park Zoo – Treat your kid, as well as yourself, with a nice date with favourite animals. Monkeys, antelopes, lions, many birds and turtles… There is also an outdoor pool housing sea lions and seals, which do some tricks during meal time. There is also a children s center, where the kids are entertained with tales and songs or watch puppet theater with daily shows. Times Square – The Square is the heart of New York and it is vigorously throbbing: busy traffic, vehicle horns honking, neon lights, billboards, TV studios and radio stations, theatres, a huge Christmas tree and New Year s Eve show to remember, loud concerts with fireworks. These are just some of the adventures waiting for you there. At Times Square you will also find the TKTS Discount Booth, where you can buy tickets for the Broadway shows with 50% discount on the same day of the event. The booth is located under a huge staircase, open for visitors, offering a panoramic view to the square. Manhattan – It s needless to say that this is Carrie Bradshaw s favorite place, and it will definitely become yours, too. This is the most populated and the oldest borough in New York with numerous skyscrapers, stores, trade centers, restaurants, theatres, museums. Here shopping is an art – all you need is imagination and a big wallet. Don t worry if you lack these qualities, no one will ask you for money, if you are just window-shopping or stealing… not some clothes, but rather thousands of good ideas for your everyday life and style. New York City Marathon – Do you accept the challenge of becoming New York s next champion? The New York City Marathon is one of the biggest in the world. More than 100,000 people take part in it every year, while the route is 42 km long. It is organized every fall at Central Park and attracts both professional athletes and many ambitious amateurs. The award fund amounts at more than USD 600,000. You started practicing already, didn t you? Follow the dates of the New York City Marathon here. Yankee Stadium – This is baseball fans paradise, and especially of those cheering for the legendary New York Yankees. Apart from the huge stadium, there is also a rich museum here, dedicated to the baseball team, as well as several bars. During the off season you have the chance to examine the whole stadium both from the inside and the outside, as well as to enter players locker room and the playground with the bases. New York City hot dog – It s unacceptable to walk down the streets of New York and miss trying the prominent hot dog. It is a simple hot dog – a bun with a cooked sausage, mustard and ketchup, but it can be found at any corner and every fast food chain, and it has its own special charm. This is the most popular fast food in the City. Next come the pizza and the burgers, so grab a bun and full steam ahead! Flushing Meadows–Corona Park – It is situated in the borough of Queens. The 1964 New York World s Fair was held here. In the park you will find the impressive Unisphere fountain, build back then as a symbol of the fair and a kind of a monument to the beginning of the cosmic era. The spherical stainless steel construction weights 408 tons and represents the terrestrial globe. It is in the middle of a pool and surrounded by high fountains. It is 50 m tall, with 37 m diameter. There are many benches and green alleys in the park, perfect for a nice walk or a rest. Hong Kong Dragon Boat Festival – Colorful pageant and immense sports spirit! The annual Chinese festival is held in August. It is organized during the weekend and forms the biggest regatta of this type in the USA. There is a race of colorful row boats in the form of a dragon, tasty food, much of dances and traditional Chinese performances. The access to the festival is free of charge. It takes place at the Flushing Meadows–Corona Park in Queens. See the dates for the next festival and don t miss the fun. St. Patrick s Cathedral – Its towers are raising high on 5th Avenue in Manhattan. It is built of bricks covered with marble. The Neo-Gothic cathedral was built in the middle of the XIX century. It seats 2,200 people. The interior impresses with its wonderful stained glasses, four huge organs and a reproduction of La Pieta by Michelangelo, which is three times bigger than the original. New York beaches – New York will surprise you with its sunny water fun and attractions, too. There are more than 80 public beaches in the city. Brighton Beach, for instance, is known for the many Russian eateries along the coastline. That is why it became known as the Little Odessa. Coney Island Beach offers many attractions at its amusement park. Orchard Beach, on the other hand, is the only public beach in The Bronx. It spreads over 115 acres and is 2 km long. Nearby there are many entertainment and catering establishments and thus it is good for a picnic under the sun or the beach umbrellas. There are also volleyball, football, tennis, handball and basketball playgrounds. Dive into the adventure right now! Staten Island Children s Museum – This is the first children s museum in the world. Here the kids can both have fun and learn new things. They can play giant chess, tic-tac-toe, and giant bowling. The little visitors may also act in plays and wear costumes like real actors or become firemen and also learn about the life of the insects, which are presented in human-size figures. There is also water fun with boats in a pool that has a lighthouse, and many more. Information about working hours and entrance fees is available here. 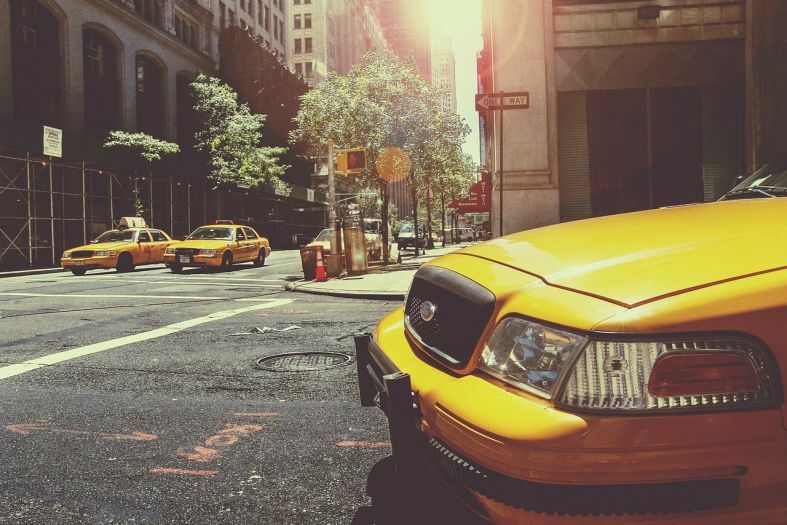 Shopping in New York – The entire Manhattan is waiting for you! Luxurious boutiques, big stores and trade centers. In Greenwich village you will find souvenirs and music records, as well as many bookstores. Antiques and pieces of art are found in Soho. The biggest department store – Macy s, offers something for everyone s budget, while the Chinese neighborhood is full of everything you may need at good prices – pretty kettles, tableware, exotic teas, and more. Nightlife in New York – In the City That Never Sleeps it will be a real shame to stay inside and nap! Jazz clubs with live music, concerts, countless bars, discotheques and clubs, karaoke bars and the very popular stand-up comedy clubs, where a single person will entertain you the whole night while you are having a dinner or a drink. Close to the port in Manhattan, there are great restaurants with a beautiful view to the ocean, offering exquisite menus. A Broadway musical or a baseball game – both wonderful ideas for an unforgettable night in the city. This is New York, baby!